As individuals grow older, our discussions lean to topics like medications, chronic illness, hospital stays, physicians, nursing homes, downsizing our home, and even end of life concerns, and these are just a few. This is my fear! When my late husband was in the hospital some years ago, I realized how important it was to have an advocate when you are ill and in a medical facility, especially when you are old. I don't have one, so I hope I never find myself in that position. For you to connect and remain independent and healthy while living alone, individuals must think about the future and set up a plan. "An excellent venue of care is the girlfriend network. I've been having more conversations with my friends, both married and on their own, about the possibility of combining households. Even if we don't share a house, we can create a group of support and take turns helping one another out." 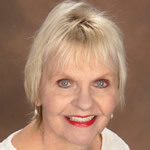 "Each person must read Beth Baker's book, "With A Little Help From Our Friends, Creating Community As We Grow Older," especially if you want to learn the various topics that addresses specific challenges like building community and staying connected. Beth spoke at the bookstore and offered well-thought out advice." "I recommend doing your research and getting to know local resources, before needing help. Hopefully, you will not need a home care agency or skilled rehab, but if you do, you'll want to have an idea of the one to use. Don't leave the decision to a discharge planner!" "Being a nursing home resident, I'm inclined to share some things to look for, if you're having to choose a nursing home facility. However, I would have to write a book instead of a simple post!" "I am 67 and have made my home senior friendly and changed my diet, plus, started to go to the health club. Because my balance is poor - I attend flexibility classes. Lack of balance and falls are two causes why older adults move to an assisted living home. In 2008, Congress eliminated balance therapy from Medicare, so it's no longer a benefit. Seniors should lobby Congress to restore the it because better balance is less expensive than fixing a broken hip." "Please check out my book on how to create co-housing and sharing a home. Its title is, "Your Quest for Home- Finding Your Ideal Community in Later Life." Find it on Amazon." "I am alone and have an illness that causes chronic fatigue. Volunteering even once a week delivering meals on wheels helps the attitude. Commit to treating yourself, like breakfast out every Friday, having afternoon tea at three each day will make a big difference mentally."